FatCow.com was based on promoting the hosting of small business websites for greater functionality and visibility with clients. This provider has been successfully evolving with the innovations of technology and software to offer an all in one plan that meets most business hosting needs. 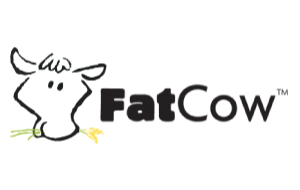 Established in 1998, FatCow.com has generated a strong track record for support and ease of file management, allowing individuals to gain experience and confidence in building and maintaining their own websites. This provider does offer dedicated and VPS server options for security and storage needs and also utilizes wind energy in order to promote sustainable living through technology. The dedication of this company to aiding small businesses in gaining client reach has translated to reliable and practical services in website hosting. FatCow.com offers some basic features for both dedicated and VPS hosted websites. Both have instant service and high data capacities, although greater storage can be purchased through additional features. This provider also accommodates host migrations, and helps to transfer data and formats to a more accommodating plan. FatCow.com also considers business needs such as email and webmail, security certificates, and ecommerce capabilities. The selling features allow for paypal integration and the setup of secure checkout and payment options for online store websites. Customer support can also let clients easily navigate their functionality and manage content with the Joomla tool. Technical and practical guidance is available at all times, via email, telephone, and even live chats. FatCow.com has a strong reputation as a host and includes security setting through SiteLock, as well as updates through the host network. Automatic scans will monitor for threats and minimal downtime is one of the benefits of the wind assisted server base. This makes the host provider a good fit for businesses, with tech support, high speed data transfer, and large bandwidth. Creating a website through FatCow.com, gives clients many choices for customizing content with a number of themes and templates. Drag and drop features of the website builder make for easy generation of quality content, and uploaded files can be modified through the control panel, even after they have been published. Application installation wizards will also facilitate the incorporation of graphics, images, and videos into the site content to allow for a more interactive user experience. Selling tools are also easy to set up with this one click system, creating a flawless and functional site that is both creator and user friendly. As a website host provider, FatCow.com is strongly geared towards businesses with features that can enhance online presence. Packages and pricing are highly cost effective for clients who are choosing to grow their existing company, or are establishing an online endeavor for the first time. A steady reputation as a host provider makes FatCow.com reliable for run speeds and security, and content management tools are high on the list of benefits for this host. I cannot fault the package they offer and, if this project had not required window components that they were unable to deliver I would most likely still be with them. But isn’t that what a cancellation period is all about? An opportunity to find out if the facilities are a good fit or not. The way they have renegged on their cancellation policy and held my domain to ransom demonstrates this host to be dishonest and mean. With an already existing business site, I’ve wanted to start a personal site as well for some time. FatCow.com let me host both sites from the same simple to use source, and my page was very easy to build. After needing some help with getting my company website started, I contacted the “Moo Crew” via online chat, and I was able to get my questions answered in no time. My customers are able to use PayPal with my new ecommerce site, and the easy integration really made a difference in my online store success. With 100% green wind-powered web hosting, I knew this was the only hosting site for my gardening goods website. My users appreciate our full package when it comes to spreading the green message! I was very nervous about taking my bookstore to an online format, as I don’t have much experience with web page building. The FatCow.com tools offered to me made it not only easy, but actually fun! Help us to help others by leaving a short review. What was your experience with FatCow?